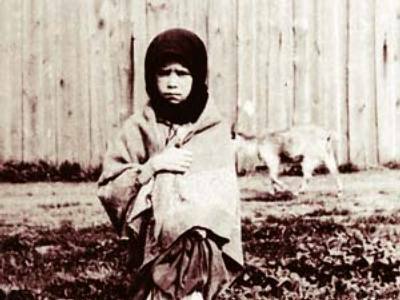 How reliable is Ukraine’s Holodomor history? The man who is in charge of the “historic providing” of Holodomor recognition - the great famine of the 1930s - has never gone into higher education. 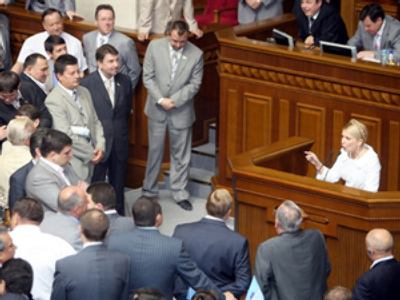 The news comes after the results of an ‘independent investigation” held by the Crimean police head and MP, Gennady Moskal, were announced by the Ukrainian Peoples’ Self-Defense movement press-service. Moskal has long been concerned with the biography of the country’s security service deputy head, Andrey Kislinsky, accusing him of trading in prostitution, but this time things have gone too badly and seriously for Kislinski. After a deputy’s enquiry, Moskal found out that Kislinsky – officially certified historian and professor of History – never graduated from the Kiev State University. More than that, he never even studied there, at least between 1994 and 2000 – the period Kislinsky was supposed to have been pounding the books. The University’s register boasts no student with such a name. Meanwhile, it may turn out that Ukrainian claims have little to do with history. As quoted by the Russian Izvestia newspaper, Vladimir Kornilov of the Kiev branch of the Institute of CIS Countries has discovered why the official number of alleged Holodomor victims has significantly increased since the launch of Yushchenko’s campaign. According to Kornilov, the so-called “Book of Memory”, published in Ukraine’s regions, is full of falsifications. Instead of real victims of famine, one can find in the book alcoholics, different crash victims, and even those who weren’t alive in 1932-1933.